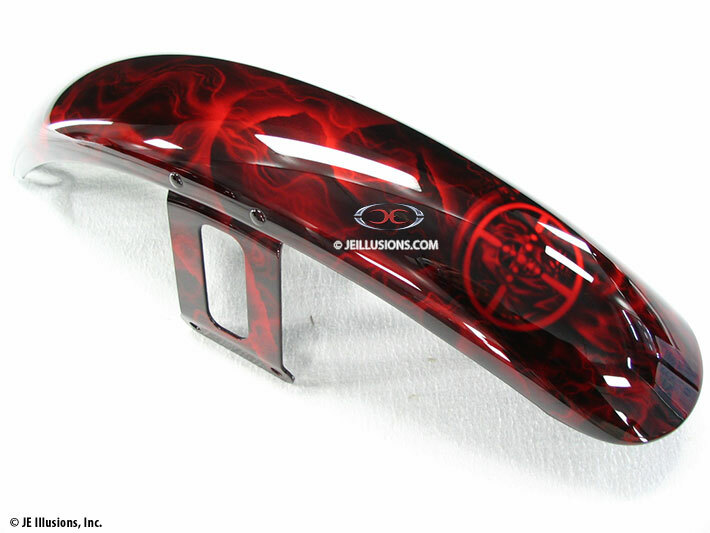 This custom paint set showcases the jaw-dropping brilliance that can be achieved through the use of kandy. It starts with a base of midnight black. 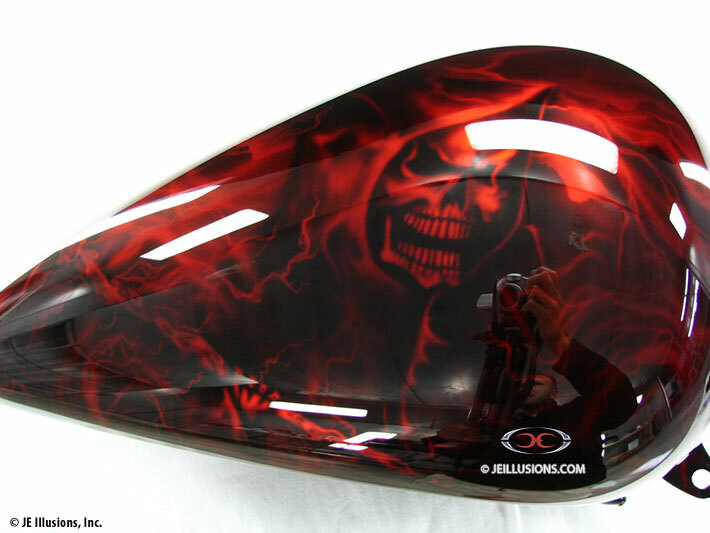 Then the fun begins as metallics, prisms, and flakes are layered to create the image -- an evil reaper theme with heavy density signature marbling and a touch of lightning. 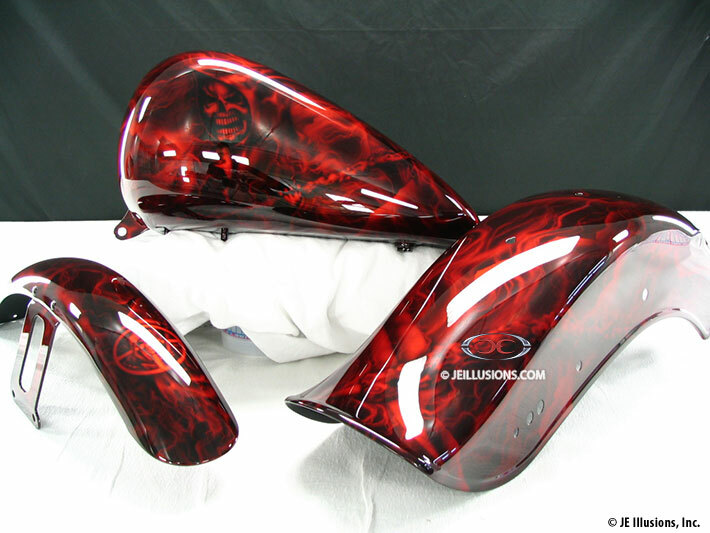 Once the image is airbrushed, the set is built up in layers with coat after coat of red kandy. Finally, our proprietary clear coating process seals the deal. 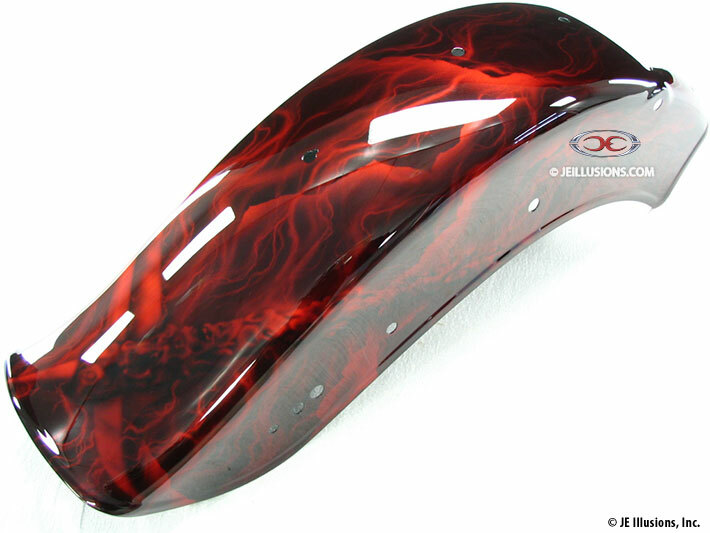 When sunlight hits the paint, it is reflected back up off of the metallic and then picks up the color hues in the kandy, creating the intense glowing effect that kandy is famous for.